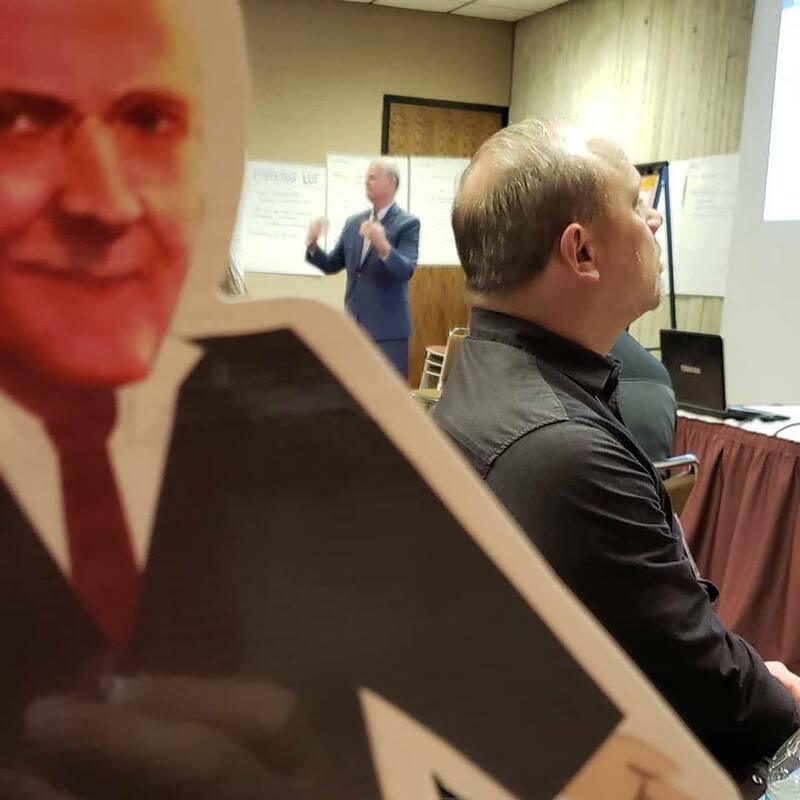 #flatpaulharris watches Chief Strategy officer, Tom Thorfinson of Rotary International talk about Rotary's Vision Statement. District 5970 revealed Flat Paul Harris at North Central President Elect Training this past weekend in Ames, Iowa. Flat Paul Harris is a public image project based on the popular children's books about Flat Stanley. Flat Stanley has been entertaining young readers for generations ever since being flattened by a bulletin board in his bedroom in 1964. He maintains his popularity by traveling around the world, having friends log his travels with photos from places near and far. District 5970 has given each club a Flat Paul and we want to see where you take him! 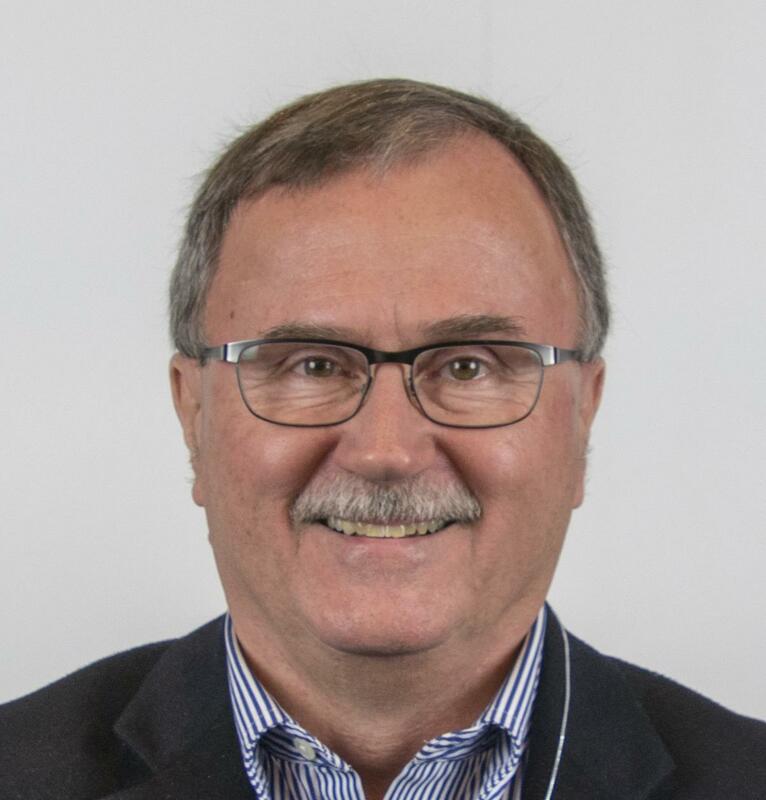 Please honor Paul Harris' legacy and celebrate the accomplishments of Rotary by including him in photos with your club! Post the photos on social media (Twitter, Instagram, Facebook) and use the hashtag: #flatpaulharris. Please also tag District 5970! Click here to download your own #flatpaulharris to take with you on your travels and post on social media! Register here for the District Conference and Annual Celebration!!!! Last Saturday night I and several others from our District Leadership Team attended a fundraising event held by the Cedar Falls Rotary Club. The proceeds will be used to fund a global grant to provide water wells in several Honduran villages. During the event, an eight year-old girl named Lyra Benjamin was honored for her charitable work to help people in need. To celebrate her First Communion, she chose to raise charitable funds instead of receiving personal gifts. Lyra raised nearly $1,800 to help victims of Hurricane Irma. 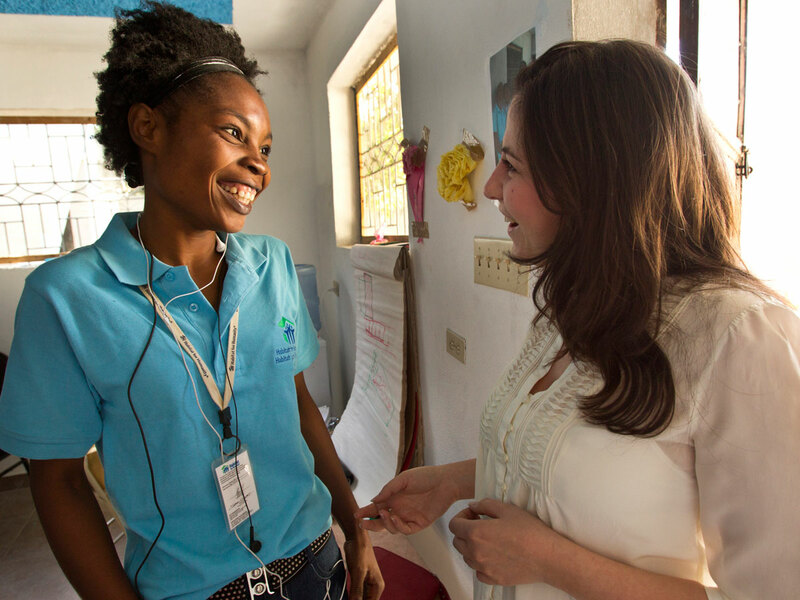 The really impressive thing she and her family did was to research which charitable organizations she could trust to handle disbursement of the funds. What did her research tell her? Trust Rotary International! Lyra Benjamin donates $1,800 to help victims of Hurricane Irma through Rotary International. Katie Wilford, 2018-2019 Global Scholar from Pocahontas, Iowa, studying in Australia, attends a Rotary District Conference. Reminders for the final quarter of the Rotary year. 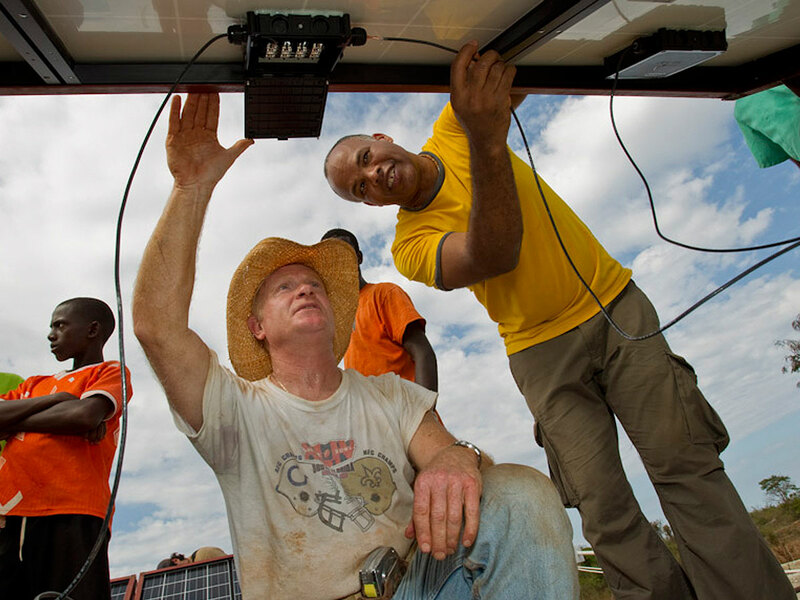 Rotary I nternational is launching a campaign called, “Countdown to History.” Goals were set and pledges were made, the and we can’t do it without you, as Rotarians. 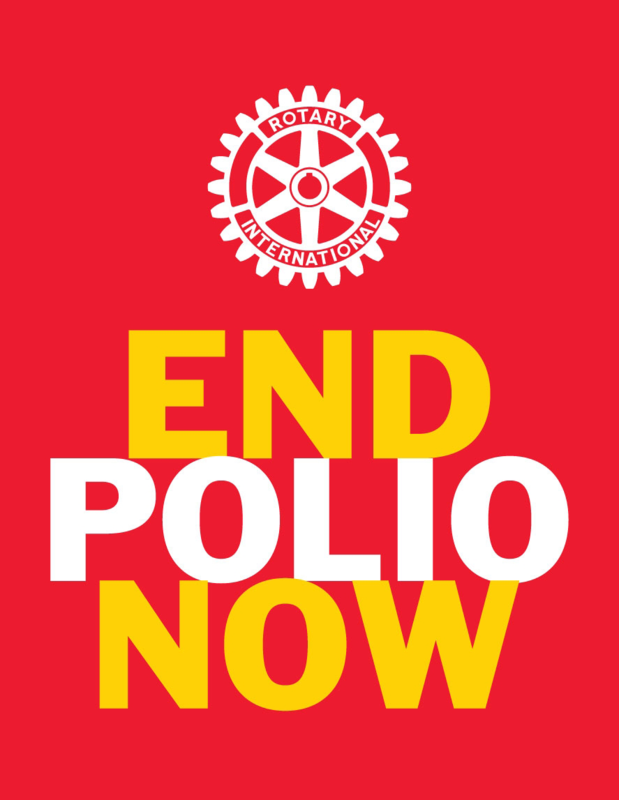 We are asking for Rotarians across District 5970 to give a minimum of $40 to End Polio Now. This will get our District to the goal set by Rotary International. A New Polio Banner is available for Club Events! See it here. Contact foundationchair@district5970.com to borrow it! 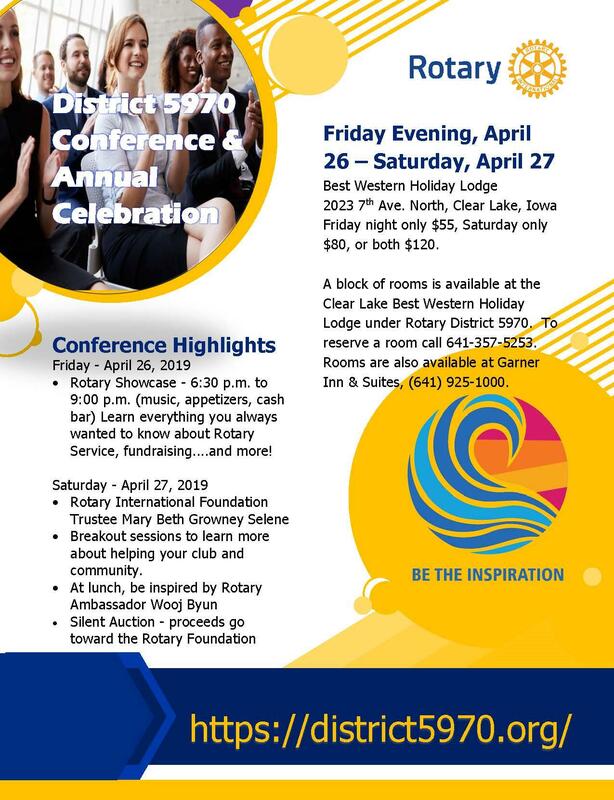 District 5970 is seeking candidates for District Governor to serve during the 2022-2023 Rotary Year. The district governor serves as official role as an officer of Rotary International and is charged with leading D-5970 during their term. 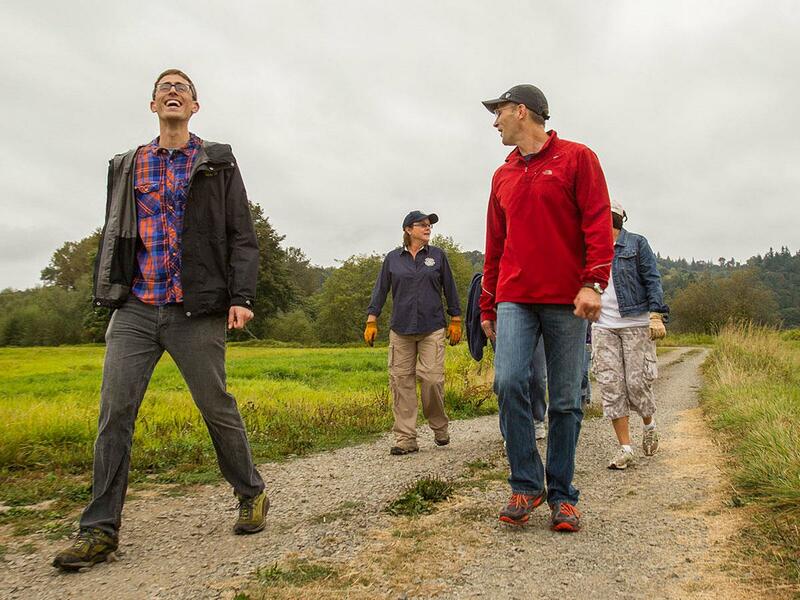 We hope you, or a Rotarian you know, will consider this leadership position for our District! Refer someone you think is qualified, to this information. Saturday, April 27 from 10:45 a.m. - 11:45 a.m. —at the District Conference in Clear Lake, Iowa. This will be offered online as well. Attendance by a Club Member is required to be awarded District or International Grants. Contact Don Meyer for additional information at foundationchair@district570.org.